Longtime neighbors of the Hattie Larlham Center for Children with Disabilities in Mantua, Ohio, the Kotkowskis and their family-owned company have been generous supporters of the organization for more than 50 years. Hattie Larlham will honor the Kotkowski family of Lakeside Sand & Gravel at its 18th Annual Circle of Caring fundraiser on Sat., Oct. 20. The marquee event hosted by Betsy Kling, chief meteorologist for WKYC-TV 3 will be held at Signature of Solon at 39000 Signature Drive in Solon, Ohio. Proceeds from the event will support programs and services for the children and adults with intellectual and developmental disabilities Hattie Larlham serves. Longtime neighbors of the Hattie Larlham Center for Children with Disabilities in Mantua, Ohio, the Kotkowskis and their family-owned company have been generous supporters of the organization for more than 50 years. Through personal giving, corporate sponsorship and third-party fundraising events, the Kotkowski family and Lakeside Sand & Gravel have helped Hattie Larlham grow and thrive since the very beginning. 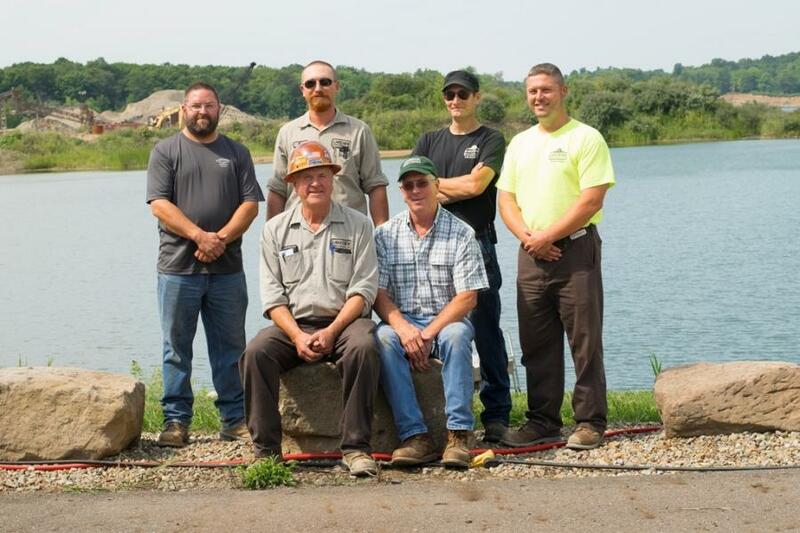 Owner Ron Kotkowski currently serves on the Hattie Lariham Board of Directors, and the family hosts an annual Open House at their site to benefit Hattie Larlham. Lariham. We are very grateful for this longtime commitment to the work we do and the people we serve." The Circle of Caring will feature a VIP and cocktail reception, live entertainment, food stations and a wine pull. Live, silent and Fund a Need auctions will be hosted by Auctioneer Rob Telecky. The 2018 Fund a Need auction will support the growth of Hattie Larlham's community engagement initiatives, including Constant Companions, Addventures, resident trips and outings, and work training programs. These programs create opportunities for people with disabilities to explore their community, interact with the world around them and discover what it means to be a good neighbor. Established in 1961, Hattie Larlham is a nonprofit organization headquartered in Twinsburg, Ohio. The organization provides residential, medical, recreational and work training services to people with intellectual and developmental disabilities. Statewide, 1,700 children and adults with intellectual and developmental disabilities receive services from Hattie Larlham and its Franklin County affiliate, Add. For more information, visit www.hattielarlham.org.